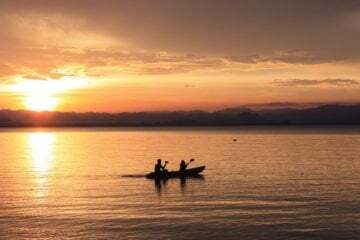 We now present to you, well, to those who are not yet familiar with the most versatile sit-on-top fishing kayak, Tequila! GTX Angler Solo. It’s the type of model that can easily be carried in the back of most cars and even store in the house, under the bed. It comes with all necessary for a kayak angler. 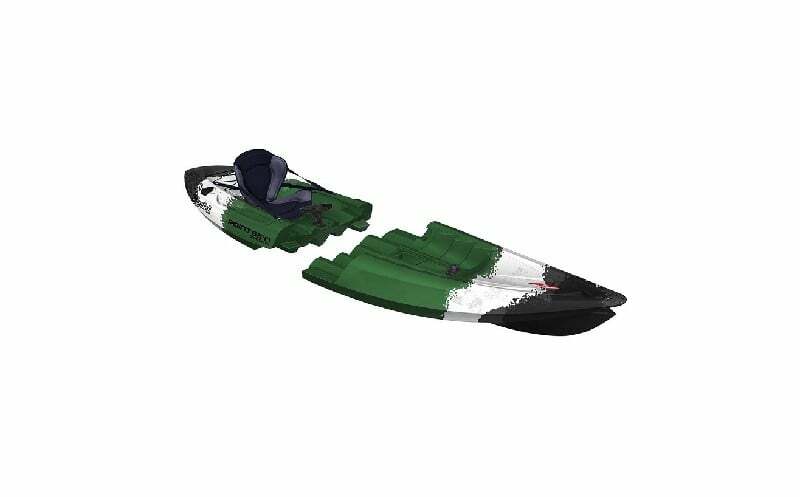 Also, the designer provided an extremely comfortable AIR seat with pneumatically adjustable backrest that gives the paddler an extremely comfortable and perfectly adjustable seating position for many hours in a row, making it one of the best fishing kayaks. 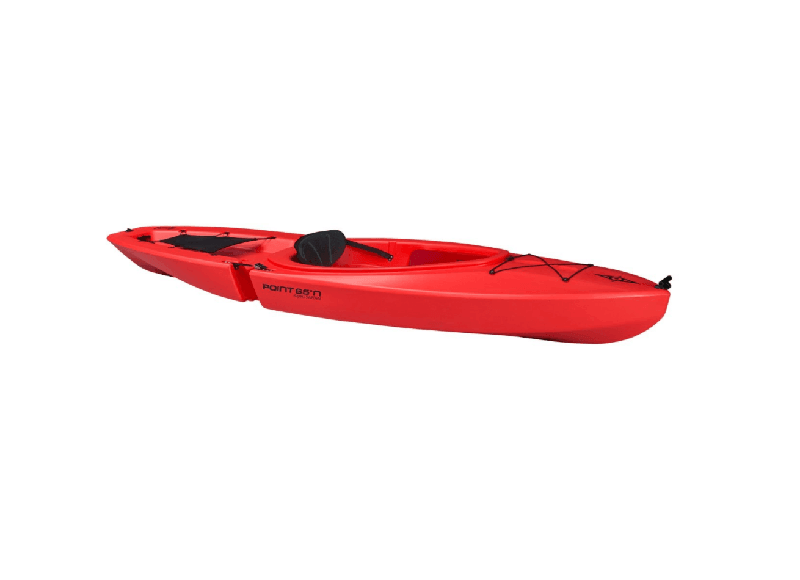 The Angler kayak is the model to take with you for a day trip or exercises, not so much for expeditions or weekend trip. You can use it on rivers, lakes and open waters and it’s perfect for fishing. We do not recommend surfing though. No matter if you’re a beginner or an expert, it will fit your level perfectly. It comes with small, normal and large paddler sizes. Snap-Tap modular system with ultra durable 1-layer UV-resistant recyclable PO which means you can go from Solo to Tandem, very easily, only by adding an extra midsection and you can also be careful with nature. Deck fitted mount for GPS and fish-finder, 1 rod holder in front, 2 integrated rod holders behind the seat and paddlepark. 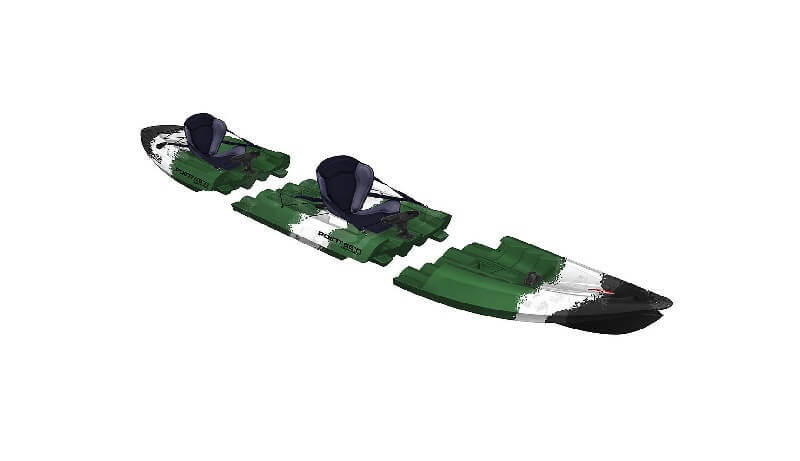 The Solo version of the Angler is easy to manage on water, but not as easy as the Tandem version and it is also not that fast, which actually makes sense. If you are worried about maneuvering, worry no more as the Solo, will surprise you in the best way possible. You will have no problems starting the ride, as both versions have extremely good initial stability, but also end-stability. There is no difference between them in wind conditions, however, the Solo behaves beautifully even in the presence of waves. Thanks to it’s Snap-Tap system, the Tequila! Angler has the capability of splitting into manageable sections and reassembles in seconds. If you are a fishing enthusiast, the Angler is the one for you as it is stable, safe and not to mention strong. Thanks to its tracking keel, it paddles in a straight line, if this is what you want it to do. The Solo and the mid-section are equipped with two additional deck mounts and this way, the owner, will have the possibility to add more rod holders or other equipment. You can have a perfect day only by taking advantage of the AIR Seat and it’s pneumatically adjustable backrest.